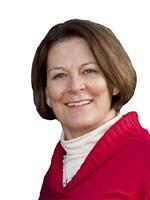 Kate has extensive knowledge and experience in the Real Estate Profession. Having owned a highly successful business, Kate's personal history will be beneficial to you! Her proficiency in organization and negotiating skills are sure to guide you through your home buying or selling process.